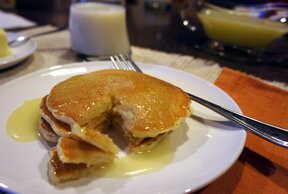 A light and fluffy pancake batter that you will never find in a box. Once you make these pancakes, you're family will never be satified with anything else. And the syrup is undescribable. This recipe doubles easily. Whip egg whites until semi-stiff. 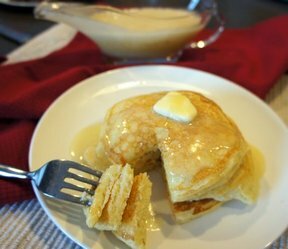 Mix buttermilk with egg yolks. Add melted butter. Add wet ingredients to dry; fold in egg whites. Fry over medium heated griddle. 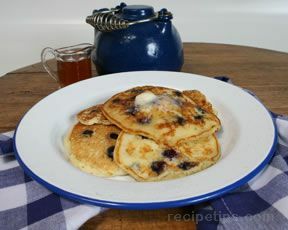 Top with Buttermilk Syrup. For Buttermilk Syrup, boil butter, sugar and buttermilk until sugar is dissolved. Take off heat and add vanilla and baking soda. 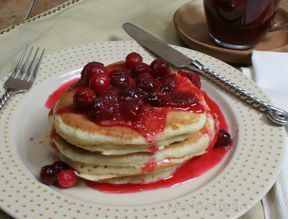 "These pancakes are SO light and fluffy, they almost taste creamy. And the syrup...oh, the syrup, sinful to say the least."